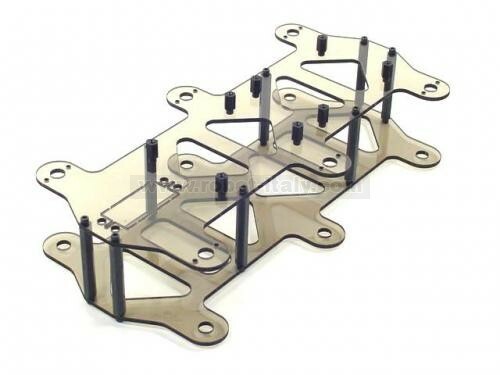 These laser-cut Lexan panels and aluminum standoffs make a nice Hexapod robot chassis for use with the aluminum legs. 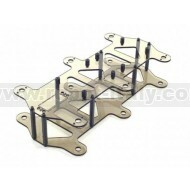 It has mounting hardware to hold a Bot Board and SSC-32, or OOPic-R microcontroller. The underside has precut holes to make mounting a battery pack easy using tie-wraps. 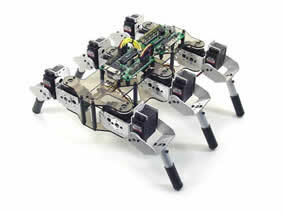 Used for the MiniHexapod project.